With Auckland City and all its city amenities, 10 min away by car. 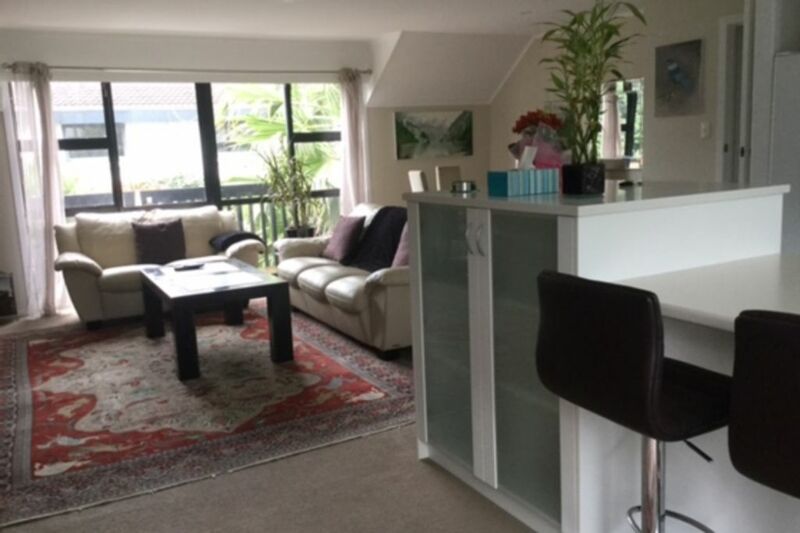 Very good and quiet location and easy stroll to Mission Bay and St Heliers along the waterfront on Tamaki Drive. Apartment is upstairs in a Tudor style house with 2 generous Queen size bedrooms. Off street Parking! Modern shower and toilet. Fully equipped open plan kitchen and living area with 2 balconies. Kohimarama Beach is known to be a great swimming spot and loved by the locals for the boulevard and great walking or biking along the beach all the way into the city centre 8,5 km away. Great location, enjoyed our holiday, very close to the beach and cafes and restauarants and St Helliers nearby for quite cafes etc. We had a lovely time for New Years eve in Ulli's flat. Everything was great and the weather as well. Awesome place to stay, close to dining, shops and the sea. Awesome place to stay, close to dining, shops and the sea. An absolutely beautiful place to stay. Very clean and welcoming. Our family would diffently look at coming back. Nice house. Quite, short way to the beach. Ulli help us will all questions. Wonderful furniture and good beds. Enough china to fill up the dish washer. Beautiful home with all the amenities. Beautiful home with all the amenities. Five minute walk to the beach and cafes. It was a great stay! I'll stay there again when I return to Auckland.